Despite a tendency after a reasonable amount of use to dispense "blobs" of silver paint on to your label still the best silver paint pen that we have been able to find. The likelyhood of this happening can be minimised by keeping the point and ball valve area clean after use. What this pilot pen does do well is to give fine writing - finer than any other silver pen we have offered in the past. 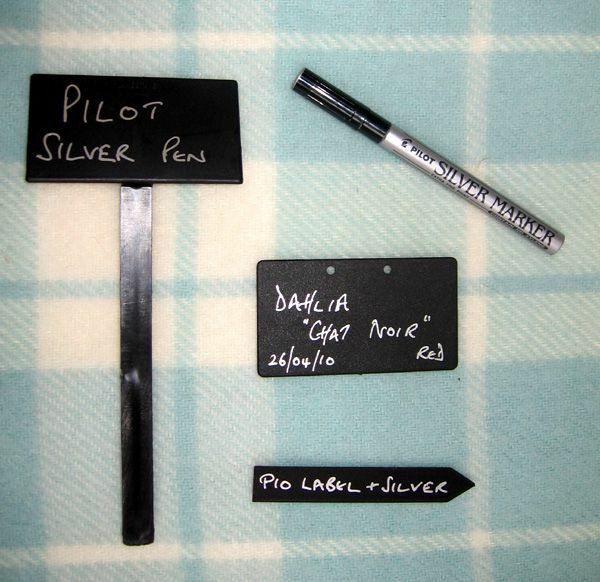 Silver paint pen for use on black or other dark coloured labels - lasts very well outside. Easy to read and looks stylish without being obtrusive. The paint will last many years outside in the garden.